2017 China-US Juvenile Trial System Reform Seminar: Dui Hua held its fifth juvenile justice exchange with China’s Supreme People’s Court on the reform of the juvenile trial system. The exchange was held on November 8-9 and was attended by over forty Chinese participants, including representatives from the Office of Juvenile Trials under the Supreme People’s Court’s Research Department and juvenile judges from courts across fifteen provinces in China. 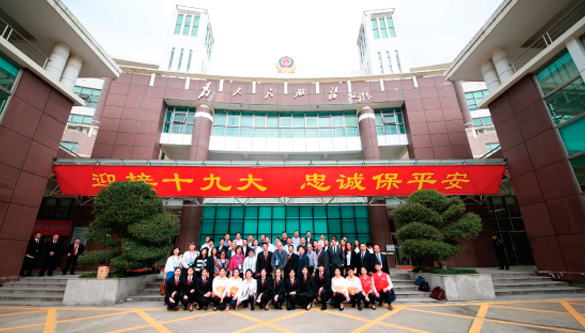 2014 Juvenile Justice Expert Exchange: More than 40 judges from juvenile courts in 12 Chinese provinces and municipalities attended the Beijing seminar on records sealing and visited Beijing’s Haidian District Juvenile Court. 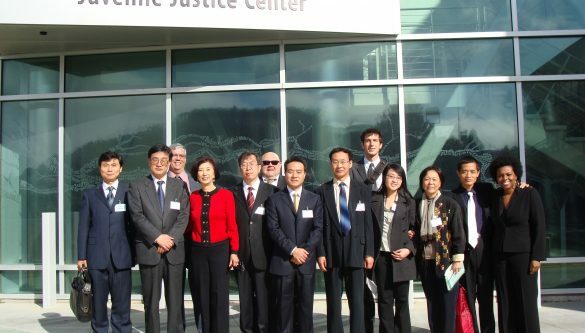 2012 Juvenile Justice Expert Exchange: Seven judges and experts from the Supreme People’s Court and provincial courts spent one week in the Bay Area immersed in the juvenile justice systems of San Mateo, San Francisco, and Santa Clara. Chinese judges observed a juvenile trial, toured juvenile detention facilities, and participated in seminars and roundtables with academics and experts. 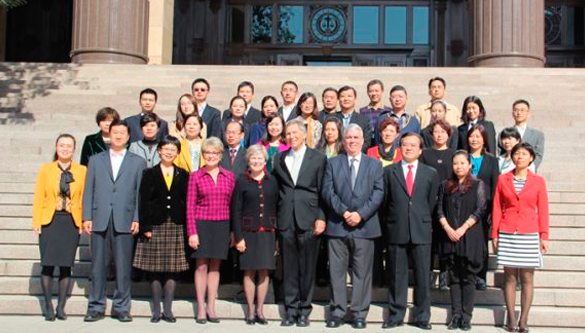 2010 Juvenile Justice Expert Exchange: By invitation of the Supreme People’s Court, Dui Hua organized a US delegation to observe China’s juvenile justice system and toured juvenile facilities in Beijing and Qingdao. 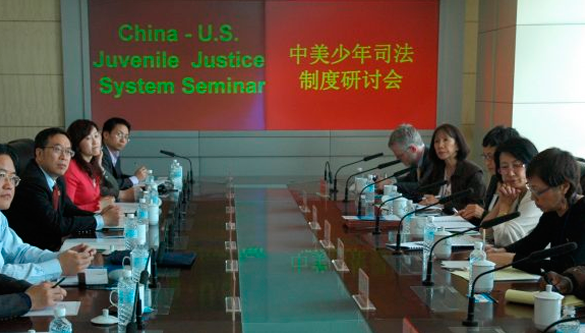 US and Chinese experts made presentations and held mock trials to present their views on the juvenile justice system. 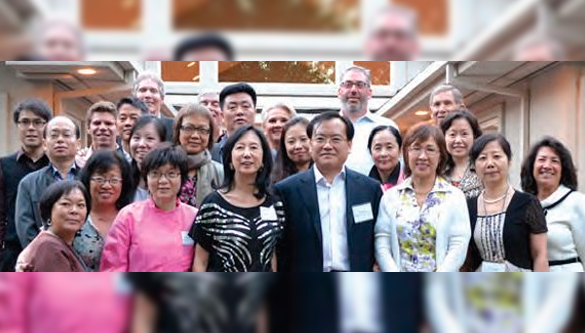 2008 Exchange Programs with Chinese officials: Dui Hua hosted Professor Dan Wei of the Institute for Procuratorial Theory under China’s Supreme People’s Procuratorate for a week-long intensive program. 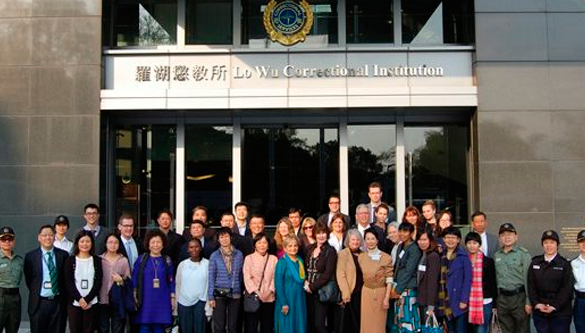 Professor Wei visited prisons, lectured at law schools, observed court proceedings, and met with academics, judges, and attorneys. Dui Hua also hosted Professor Li Shi’an of Renmin University and the Chinese Association for Human Rights Studies with a focus on human rights in China and the United States. Highlights of the program include tour of a federal prison and the court and jail facilities at the San Francisco Hall of Justice.